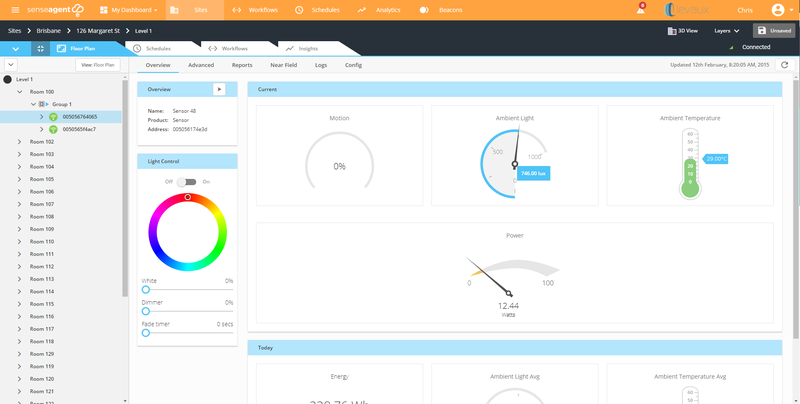 The SenseAgent Cloud Application is a user friendly web browser based application for controlling, monitoring and managing SenseAgent sensors. All sensor data is pushed to SenseAgent cloud for storage, analysis and visualisation. 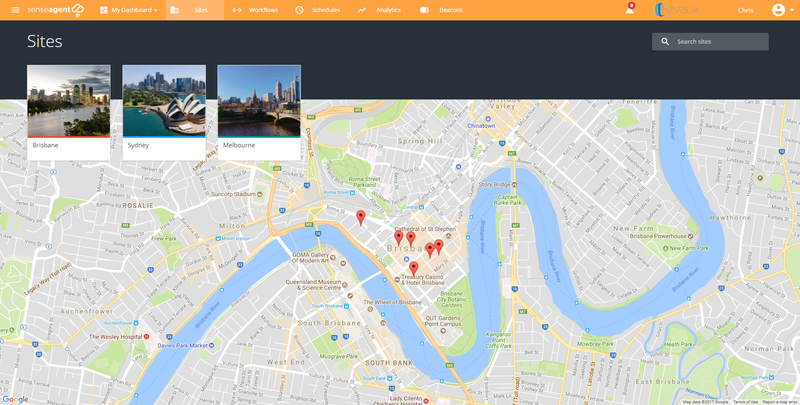 The SenseAgent Cloud application allows user to create and customise dashboards of data that is meaningful to them. 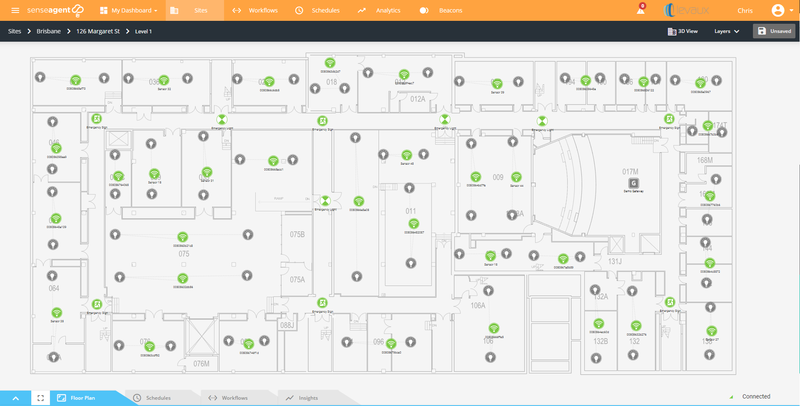 All SenseAgent sensors and gateways are grouped into Organisation, Site, Building, Floor Plan, and Room. Sensors in geographically distributed buildings can all be managed and monitored from a single point within the SenseAgent Cloud Application. Sensors are mapped on the buildings floor plans to situate them and the data they generate in the context of the physical space. All sensor metrics can be monitored in real time from floor plan view. 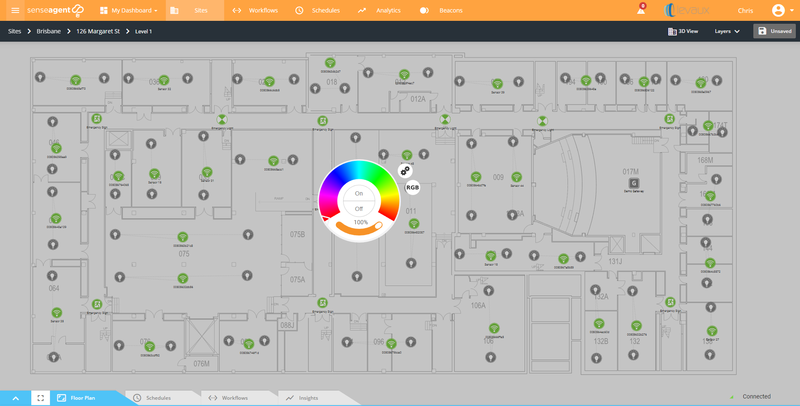 All sensors can be controlled in real time from floor plan view. 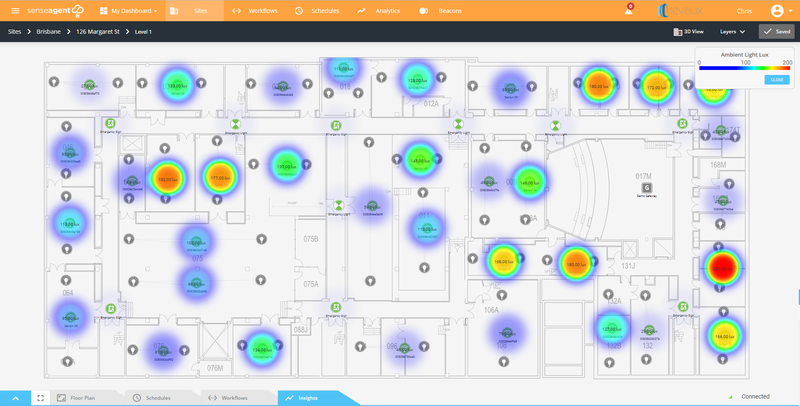 Heat maps of real time sensor data and historical data can be used to visually indicate how different metrics are changing in a physical space over time. 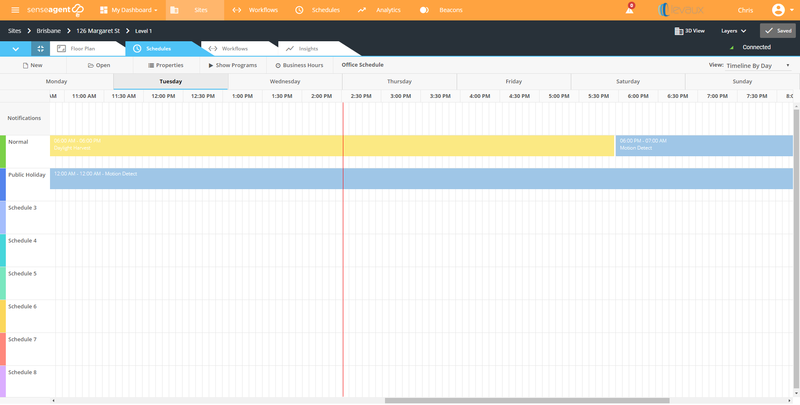 The autonomous behavior of sensors and how they respond to metrics changing can easily be configured remotely using the Scheduler. Programs are dragged and dropped on the schedule and applied to groups of sensors. The schedules are stored on the sensors themselves to ensure they operate correctly at all times. 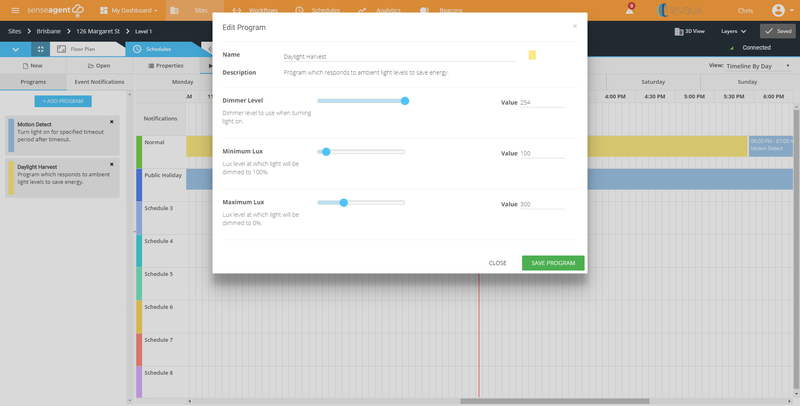 Programs dictate exactly how a sensor responds to a data point changing. This can include commanding an attached device such as a light to switch on in response to the motion data point, or any other combination of data point changes and available commands. 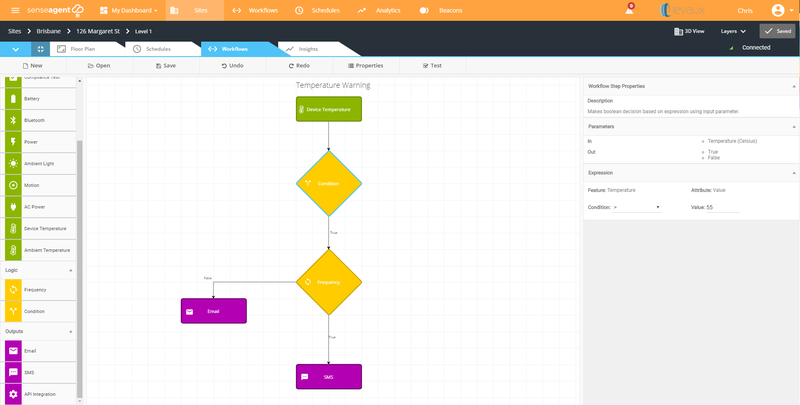 Real time event processing can be configured using the Event Workflow builder. Any sensor metric change can be configured to carry out an action. This can include sending notifications via common services or API integrations to send data to 3rd party systems for processing.